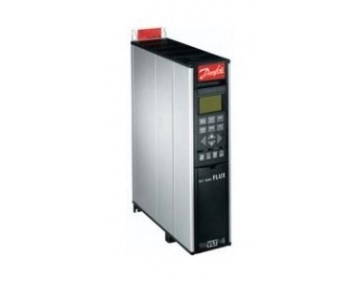 The variable speed drive is a common drive type found in a number of applications. The premise behind the variable speed drive is simple: controlling motor speed and torque by varying the motor’s voltage and frequency. This means the motor can be run at a speed which is optimal for the application in which it has been deployed. Variable speed drives are a great way of reducing your energy consumption and making you production line more flexible. Commonly, electric motors are run at a uniform rate of speed. Therefore, they continue to consume the same energy and provide the same amount of effort regardless of the load placed on them. As this article will examine, there are a number of advantages of using variable speed drive over such an approach, particularly if the application for which the electric motor has been deployed doesn’t require constant drive output. Variable speed operations – For applications which require fluctuating metered output, using an electric motor that runs at a constant high speed is extremely inefficient. Its torque must be reduced, generating heat, adding complexity to the system – all the while consuming vast amounts of electricity. With a variable speed drive, the speed of the motor is variable and can be altered depending on the demands of the application. Energy efficient – As a variable speed drive can be run at a speed more commensurate with that required by the application, rather than at its maximum output, its energy consumption can be reduced significantly. For instance, if an electric motor is run at full speed to operate a compressor at 20 per cent of its capacity, a great deal of energy is wasted. With a variable speed drive, the motor’s output can be reduced, but the torque can be maintained, bringing significant energy savings. Longevity – Running an electric motor at peak capacity generates heat, puts components under high stress and ultimately reduces its operational lifespan. With a variable speed drive, since the motor can be run at a lower frequency, components face reduced wear and tear. Start-up – An electric motor faces the greatest strain when starting off. Uniform speed drives are the most inefficient at start-up, using vast amounts of current and putting enormous strain on their electrical system. With variable speed drive, the motor can ramp up its energy demand much more gradually. This means less strain on the mechanical components of the motor as well as its electrical system.